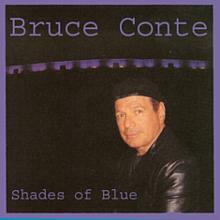 Live at Shaver Lake Festival - Bruce Conte has been added successfully to your wishlist. Former Tower of Power guitarist and long-time blues man Bruce Conte has assembled this new collection of live blues tracks mostly from his show in 2010 headlining the Music Festival at Shaver Lake, California, high in the Sierras. 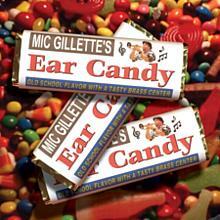 Tracks 1 through 8 were recorded at the Shaver Lake Festival and feature Bruce on guitar and vocals; Billy Haynes on bass and vocals; Nate Ginsberg on keys and vocals; drummer Les Falconer; and Ray Appleton on blues harp. 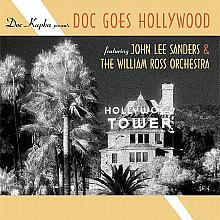 The next two tracks feature Bruce along with his former band mate in Tower of Power and long-time Santana keyboardist, Chester Thompson on organ and bass pedals, and Les Falconer on drums. 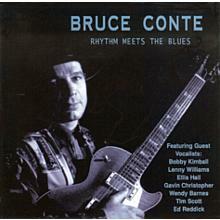 Track 11 features Bruce's cousin, Victor Conte, who also played bass with Tower of Power for a time in the 1970's on a tongue-in-cheek tune called "Balco Bebop". Finally, Bruce has pulled out a classic track he recorded with Chester Thompson on organ and bass pedals; David Garibaldi on drums; and the late Brent Byars on congas called "CT's Jam". Bruce has an unmistakeable style all his own. 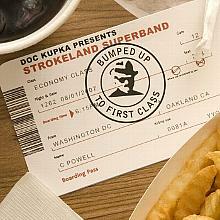 Check out this great sampling of blues tracks from Bruce and friends. There are currently no reviews for Live at Shaver Lake Festival - Bruce Conte, but you can be the first!